Draft: 2012, Milwaukee Brewers, 5th rd. Played for five different teams with three different organizations (Milwaukee, Baltimore and the Los Angeles Angels)...Attended spring training with Milwaukee before being optioned to minor league camp on 3/13...Made two appearances with Colorado Springs (Brewers' AAA) before being designated for assignment on 4/9...Was traded to Baltimore on 4/13 for future considerations and optioned tp Triple-A Norfolk... Was scored upon in four of his five outings with the Tides before being desigated for assignment on 5/2...Was acquired by the Angels organization on 5/6 and was assigned to Triple-A Salt Lake...Was recalled by Los Angeles on 6/3...Walked two batters and whiffed one in his lone big league game on 6/3 vs. Minnesota before being optioned back to Salt Lake the next day...Was assigned to Mobile (Angels' AA) for the remainder of the season on 8/12...Was selected by the Pirates in the Triple-A phase of the Rule Five Draft during the final day of the Winter Meetings on 12/14. Spent most of the season at Triple-A Colorado Springs and went 6-7 with a 4.06 ERA and 18 saves in 52 relief appearances...Was a Pacific Coast League All-Star...His 18 saves ranked fourth in the Pacific Coast League (18-for-21)...Had two stints with Milwaukee (8/16-8/19 and 9/6-end)...Made 3 relief appearances with the Brewers, posting a 6.00 ERA (3ip, 2h, 2r, 2er, 3bb, 0k)...Made his Major League debut in the first game of a doubleheader on 8/16 at Chicago-NL, allowing 1 run in 1.0 inning (1bb, 1hbp, 1wp). Became a reliever and went 4-1 with a 1.17 ERA and 20 saves in 42 outings at Double-A Biloxi…Was a Southern League All-Star…His 20 saves ranked third in the Southern League and led Brewers minor leaguers (20-for-22)…Held opponents to a .210 batting average…Following the season pitched for the Surprise Saguaros in the Arizona Fall League…Added to the 40-man roster on 11/20. 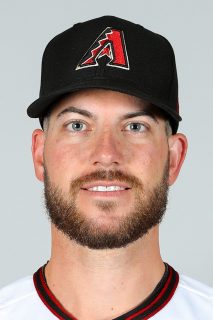 February 24, 2019 Arizona Diamondbacks signed RHP Damien Magnifico. February 24, 2019 RHP Damien Magnifico assigned to Jackson Generals. November 2, 2018 RHP Damien Magnifico elected free agency. January 22, 2018 Pittsburgh Pirates invited non-roster RHP Damien Magnifico to spring training. December 14, 2017 Indianapolis Indians claimed RHP Damien Magnifico off waivers from Mobile BayBears. August 15, 2017 Los Angeles Angels sent Damien Magnifico outright to Mobile BayBears. August 12, 2017 RHP Damien Magnifico assigned to Mobile BayBears from Salt Lake Bees. June 4, 2017 Los Angeles Angels optioned RHP Damien Magnifico to Salt Lake Bees. June 3, 2017 Los Angeles Angels recalled Damien Magnifico from Salt Lake Bees. May 6, 2017 Baltimore Orioles traded RHP Damien Magnifico to Los Angeles Angels for RHP Jordan Kipper. May 6, 2017 Los Angeles Angels optioned RHP Damien Magnifico to Salt Lake Bees. May 2, 2017 Baltimore Orioles designated RHP Damien Magnifico for assignment. April 13, 2017 Milwaukee Brewers traded RHP Damien Magnifico to Baltimore Orioles for Future Considerations. April 13, 2017 Baltimore Orioles optioned RHP Damien Magnifico to Norfolk Tides. April 9, 2017 Milwaukee Brewers designated RHP Damien Magnifico for assignment. March 13, 2017 Milwaukee Brewers optioned RHP Damien Magnifico to Colorado Springs Sky Sox. September 6, 2016 Milwaukee Brewers recalled Damien Magnifico from Colorado Springs Sky Sox. August 19, 2016 Milwaukee Brewers optioned RHP Damien Magnifico to Colorado Springs Sky Sox. August 16, 2016 Milwaukee Brewers recalled Damien Magnifico from Colorado Springs Sky Sox. March 14, 2016 Milwaukee Brewers optioned RHP Damien Magnifico to Colorado Springs Sky Sox. November 20, 2015 Milwaukee Brewers selected the contract of Damien Magnifico from Biloxi Shuckers. July 26, 2015 Biloxi Shuckers activated RHP Damien Magnifico from the 7-day disabled list. July 16, 2015 Biloxi Shuckers placed RHP Damien Magnifico on the 7-day disabled list. September 1, 2014 Brevard County Manatees activated RHP Damien Magnifico from the 7-day disabled list. August 15, 2014 Brevard County Manatees placed RHP Damien Magnifico on the 7-day disabled list. August 22, 2013 Brevard County Manatees activated RHP Damien Magnifico from the 7-day disabled list. August 11, 2013 Brevard County Manatees placed RHP Damien Magnifico on the 7-day disabled list. August 5, 2013 Brevard County Manatees activated RHP Damien Magnifico from the 7-day disabled list. July 29, 2013 Brevard County Manatees placed RHP Damien Magnifico on the 7-day disabled list. July 27, 2013 Brevard County Manatees activated RHP Damien Magnifico from the 7-day disabled list. July 11, 2013 Brevard County Manatees placed RHP Damien Magnifico on the 7-day disabled list. June 21, 2013 RHP Damien Magnifico assigned to Brevard County Manatees from Wisconsin Timber Rattlers. March 30, 2013 Damien Magnifico assigned to Wisconsin Timber Rattlers from Helena Brewers. July 7, 2012 Damien Magnifico assigned to Helena Brewers. July 5, 2012 Milwaukee Brewers signed RHP Damien Magnifico.